Laughing Squid is an art, culture and technology blog and a hosting company specializing in WordPress hosting. It was founded by Scott Beale in 1995 and is currently based in New York City. For more info see our FAQ and Wikipedia. We’ve been running a blog since 2003, where we post about a variety of interesting things, including art, culture and technology. The Laughing Squid blog is run by founder Scott Beale, who is Publisher and Editor-In-Chief. Scott is joined by his wife, Contributing Editor Lori Dorn. Since 1998 we have been providing reliable, scalable and secure hosting services to individuals, artists, and bloggers, that currently focuses on WordPress hosting. Hosting is our primary source of revenue, aka the “business” side of Laughing Squid. If Laughing Squid were a mullet, hosting would be the short part in the front. The revenue generated from our hosting operations helps power the Laughing Squid blog. Laughing Squid was founded on November 16th, 1995 in San Francisco by Scott Beale as a film and video production company, producing documentaries on the surrealist painter Alonso Smith and The Cacophony Society’s Portland Santacon ’96 event. In 1996 Laughing Squid launched The Squid List, a San Francisco Bay Area events email list and calendar. Initially, Laughing Squid offered publicity and web design services, but then focused on hosting in 1998 as its primary business. Laughing Squid became an LLC in 2000, with partners John Law and David Klass joining Scott Beale. In 2003 Laughing Squid launched its blog, which relaunched on WordPress in 2005. Laughing Squid moved its headquarters to New York City in 2010. 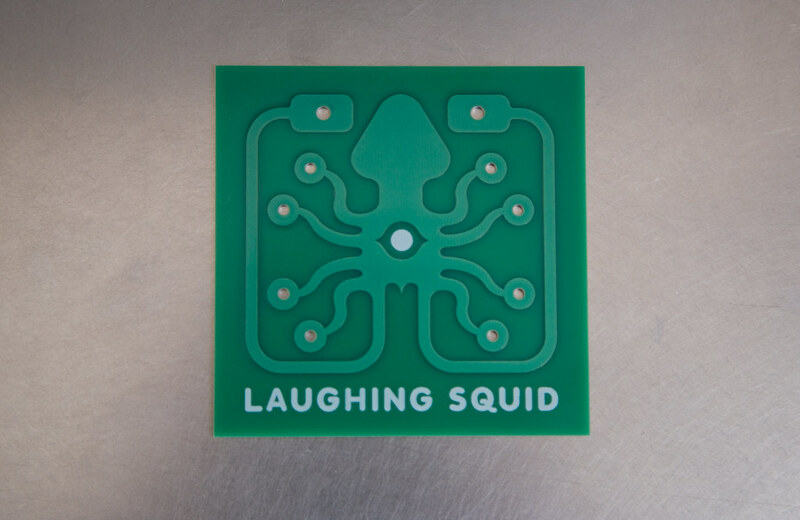 Here’s more on the history of the Laughing Squid name and the Laughing Squid Logo. Here’s a list of press and media coverage that Laughing Squid has had over the years. Laughing Squid also organized many events during the 1990s and 2000s, including The Tentacle Sessions, that we produced from February 21, 1999 through December 15, 2002 in San Francisco. Here’s the gallery of the Laughing Squid Postcards created by some of our favorite artists over the years. When Laughing Squid started out in San Francisco in 1995, it joined a vibrant local community, which includes events and organizations such as Burning Man, ArtCar Fest, Defenestration, Survival Research Labs, The Cacophony Society, SEEMEN, the extended universe of Chicken John, Power Tool Drag Races, Black Rock Arts Foundation, RoboGames, Santarchy (Santacon), Webzine, the original BarCamp, Maker Faire, dorkbot-sf, How to Destroy the Universe and Hi Fructose Magazine. Laughing Squid continues to keep close ties to many of these organizations.